IN THE colorful world of showbiz, people are always interested in the love affairs of the stars so let’s review what’s happening to some of them now. 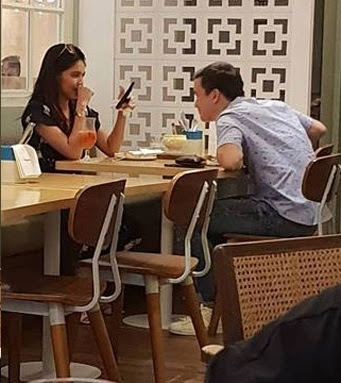 Maine Mendoza is currently being linked to Arjo Atayde. This is unusual because she’s a bonafide Kapuso and he’s Kapamilya. But it seems the rumors are true because after they’ve been seen dating out a couple of times, they had a trip together in Bali no less. Who’ll benefit more from this pairing? Definitely it’s Arjo as his lovelife and career just got a big upgrade. After having a relationship with a relative unknown called Sammi Rimando who’s a member of a little known girl group, imagine him now being with a big star and top endorser like Maine who’s part of a very big love team, Aldub. But of course, Arjo is being bashed generously by Aldub fans, but who cares? They can all eat their hearts out and he doesn’s have to give a hoot. The situation is similar to the Vice Ganda and Calvin Abueva pairing. Vice has been linked to other cagers before, but not as openly as this one with him saying “pinapasaya talaga ako ni Calvin ngayon.” From being a relatively unknown basketball player, Calvin has since become more famous, thanks to Vice. 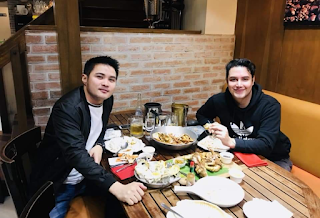 Another gay celeb who’s very open about his love life in social media is Paolo Ballesteros. After his dalliances with Roland Anog and Sebastian Castro, he now posts his photos with his latest inamorato named Kenneth Concepcion. Observers say his new boylet is not much of a looker compared to Sebastian so, this early, they’re predicting it will be another shortlived affair, just like what happened to his past love affairs that lasted only for a couple of months and quickly dissipated into thin air. One actor who’s wise to go solo and not have a ka-love team is the hunky Tony Labrusca, the new apple of the eyes of bekis and matronas. After doing two acclaimed indie flicks, “ML” and “Double Twisting Double Back”, he’s now in “Glorious”, a May-December romance with Angel Aquino and he’s definitely getting a lot of good and positive feedback. He should be thankful that he was saved from being the ka-love team of Kisses Delavin who’s now linked to Donny Pangilinan. Kisses-Donny? Well, all we can say is good luck.